At CNS Locksmiths we offer a wide range of Residential Locksmith Services to suit your requirements. 24 Hours / 7 Days a week. With an extensive stock range sourced from leading Locksmith Supply Companies, we have it covered. We also offer an efficient service: ‘LOCK REPAIR / RE:KEYING DROP OFF’ where you can bring your locks to us for servicing or re-keying and pick them up again, saving yourself on call out Costs. *Locksmith Security tip: When you move into a New Residence it is always a great idea to get the locks re-keyed, you may never know how many keys are in circulation. We can re-service existing, in which cases old locks machanically come up like new again. Also we repair existing locks with broken or worn parts. We can rekey and key alike your existing locks.Also Master keying locks to suit your requirements. The way of the Future...The most common and popular: Lockwood 001 Touch Deadlatch.Lockwood 001 Digital Deadbolt..
We carry a large range of Lock Focus garage locks to suit your requirement. We also stock a range of garage remotes, if we done have it we will get it. In Most cases we can remove a broken key from the barrel without having to replace the lock. Padlocks rekeyable; Lockwood, Lockton, Abus. Small or large, Commercial & Marine grade padlocks.Window, cabinet and letterbox locks. We offer a wide range of common and domestic keys, with some obscure keys also. All key cutting availiable on site. We offer a commited Service for Lock-Outs & Repossessions.On call 24 hours a day 7 days a week.Please Enquire. At CNS Locksmiths we offer Locksmith services for SOME AUTOMOTIVE VEHICLES. We DONT have the facility at the moment to accommodate for: CUTTING TO CODE, TRANSPONDER CHIPS & REMOTES, twin trax key cutting & ford tibbe keys. 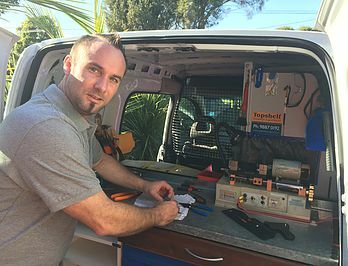 Locksmith Services we provide; ignition lock repairs and replacements, repair & replace auto door and boot locks, SOME Auto key duplication, auto broken key extraction, auto vehicle openings. *Locksmith Security tip: It is a good idea to have a secondary vehicle key, in the event of loosing your only key – in most case it will become a very expensive exercise! Repair & Replace Ignitions Locks. 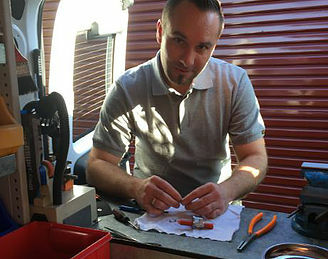 Repair & Replace Auto Locks. We can re-service existing, in which cases old locks machanicly come up like new again. Also we repair existing locks for broken or worn parts. We only offer a very basic duplicating key service, pre - Transponder Chip Keys, and NO Remote Programming. At CNS Locksmiths we offer a wide range of Commercial Locksmith Services.​ 24 Hours / 7 days a week. Locksmith Services we provide; 24 hour Commercial lock openings, Lock-outs / Repossessions, Re-key locks & Key-Alike / Master Keying, new lock installation, break-in repairs fixed, repair existing locks, key cutting duplicating, broken key extraction, digital / electronic locks supplied & fitted. *Locksmith Security tip: When you move into a new commercial Factory / Shop it is always a great idea to get the locks re-keyed, you may never know how many keys are in circulation. We can rekey and key alike your existing locks.Also Master key locks to suit your requirements. We offer a commited Service of Lock-Outs & Repossessions.On call 24 hours a day 7 days a week.Please Enquire.